The Align team are delighted to provide you with a facility where you can access physiotherapy, chiropractic, acupuncture and massage treatments under the same roof! What’s also exciting is our interdisciplinary approach to wellness might be covered under your health insurance plan. You may be surprised to learn there are eight approved health insurers in the Cayman Islands; Aetna Life & Casualty, BAF Insurance Company (Cayman) Ltd, Colonial Medical (BritCay), Cayman First Insurance Company Ltd, Cayman Islands National Insurance Company (CINIC), Generali Worldwide, Guardian Life of the Caribbean (Fidelity) and Pan-American Life Insurance Group (as of time of writing as per the Department of Health and Regulatory Services http://www.dhrs.gov.ky/portal/page/portal/hrshome/hic/approved). Align accepts valid medical cards from them all, without exception. 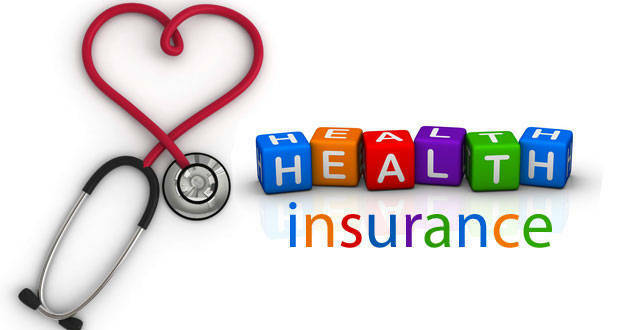 We would by lying if we thought health insurance policies were a good read, but we can’t stress enough how important it is for you to take some time to familiarize yourself with your health insurance benefits. It will provide a better understanding of what coverage is available to you and how Align works with each plan. This allows us to make sure you’re getting the most from your plan and a continuous level of care. Don’t forget your health insurance plan corresponds with the calendar year and you can’t carry forward any unused benefits into the new year. Your plan resets it’s deductible, co-insurance and number of available treatment visits on January 1st. So basically, if you want to maximise your benefits this year you need to use them before the end of December. Let us know how we can help schedule your appointments. There’s a lot of work that goes on behind the scenes at Align to make sure we have your most up to date insurance coverage on file. We’re dedicated to confirming your benefit coverage ahead of your treatment, we establish your co-insurance and deductible responsibilities and do our best to minimize any surprise bills after your visit. We’re committed to accurate and timely claim filing and follow up to ensure rapid resolution and payment of claims. We deal openly, transparently and professionally with you and pride ourselves on our strong relationship with the local insurance companies. We’re happy to provide a statement of your account detailing how funds received from insurance companies and you are applied to the charges. We will also explain how this all relates to your Explanation of Benefits. As most of the insurance plans on island do not cover 100% of any treatment, we’ve worked to establish a set fee to cover amounts not met by insurance companies. These fees are payable by you at each visit and vary depending upon your insurance plan. Should you require further details, please don’t hesitate to ask one of our team. · Explanation of Benefits: you’ll probably hear us refer to this as an “EOB”. It’s an electronic statement explaining what medical treatments and / or services were paid as part of your claim. It contains information of what was paid by your insurance company and the portion of costs, if any, you are responsible for. · Co-insurance: when you pay part of the bill and the insurance company pays part of the bill. This is the out of pocket amount you may owe. It’s usually split 80/20. This means the insurance company will pay 80% of the costs and you will be responsible for 20%. · Calendar Year Maximum: means the total amount paid by your insurance company under your plan during any one calendar year. The amount is reduced with the payment of each claim. · Deductible: is the amount of covered charges which are incurred and paid by you before the insurance company will pay a claim. · Out of Pocket: means the total amount that you must pay as co-insurance in a calendar year. This does not apply to premiums or services not covered by your insurance plan. · Per visit financial cap: maximum amount your insurance company will per visit or per day for the services we provide. This varies depending upon your insurance plan. · Number of visits cap: maximum amount of visits your insurance company will pay in a calendar year. This varies depending upon your insurance plan. · Pre-Approval: a provision which requires us to notify and receive prior approval from your insurance company for your treatment. · Medical Referral: this is a referral note from your doctor to confirm treatment with our therapists is medically necessary. · Current Procedural Terminology: are codes used by our therapists to document and report the services they provide to you. Please don’t hesitate to contact a member of the Align Team if you would like to discuss your insurance coverage or plan details and we’ll do our utmost to make the insurance process as painless as possible!